Energy Northwest, a Washington state utility, did not prove that the federal government's failure to dispose of nuclear waste from its embattled reactor forced the company to upgrade a $60 million nuclear waste storage facility, a federal appeals court ruled yesterday. The U.S. Circuit Court of Appeals for the District of Columbia said the utility did not make the case that the federal government's failure to take waste from its 1,150 megawatt Columbia Generating Station required the company to modify its spent fuel storage facility. The NFRC disagrees with this court decision. The federal government has the fiduciary responsibility to take possession of commercial nuclear power plant spent fuel. Billions of dollars have been collected from ratepayers to support the federal government's responsibility for managing the waste. The 26-year-old nuclear reactor and dry storage facility are located 10 miles north of Richland, Washington. 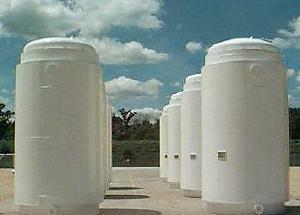 Energy Northwest sued the Department of Energy in 2004 for money it spent on moving spent nuclear fuel from its overcapacity spent fuel pools to a newly built dry storage facility. The U.S. Court of Federal Claims then granted Energy Northwest more than $55 million in damages last year. But the appeals court yesterday vacated the claims court's ruling, saying Energy Northwest failed to prove the government's breach of contract required the company to make the upgrades. Therefore, the court said, the federal government is not required to pay the utility $7 million for modifying the spent fuel storage facility or interest payments the utility made in connection with the project. However, the appeals court ruled Energy Northwest was rightfully granted $2.9 million in "overhead costs" associated with the storage facility. Energy Northwest could not be reached for comment. Energy Northwest signed a contract with DOE in 1983 to take spent nuclear fuel from the facility and store it in a permanent repository, which has not yet been built. The agreements followed in the wake of Congress directing the agency to prepare a permanent dump for spent nuclear fuel in 1982. 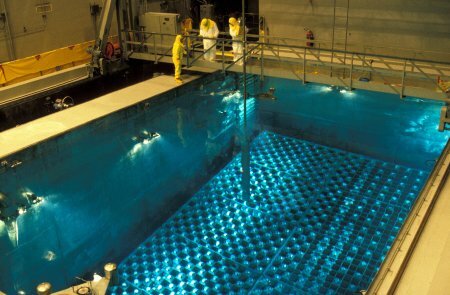 The contracts stipulated that the federal government was required to dispose of spent nuclear fuel generated by the reactor by 1998 and Energy Northwest was bound to prepare the waste for storage and contribute money to the Nuclear Waste Fund. The Obama administration ended support for the Yucca Mountain project in Nevada, prompting DOE to withdraw its application for the project and forcing utilities to store waste on-site.